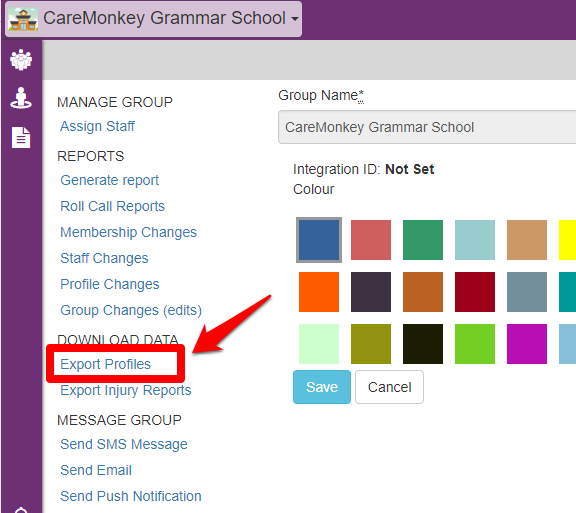 How does an Administrator export the data of Care Profiles? 1. Hover your mouse over the group icon and click the menu icon (three horizontal lines). 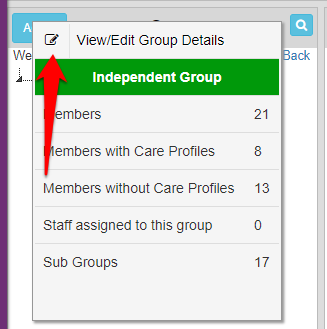 Choose View/Edit Group Details. 2. Click Export profiles on the left-hand side menu. 3. 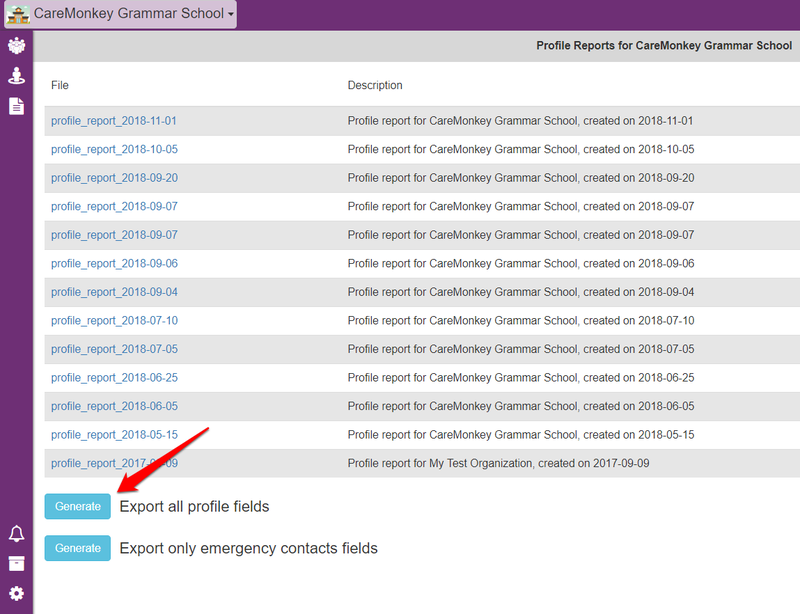 Click the Generate button next to Export all profile fields. 4. Wait for a few minutes for the report to be ready (the wait time depends on the number of students, members or participants you have). 5. The most recent report will be on the top of the list. Click on the report name to download the file. You can also compare other reports you did the the last time by clicking on the report name. How does an Administrator generate reports? 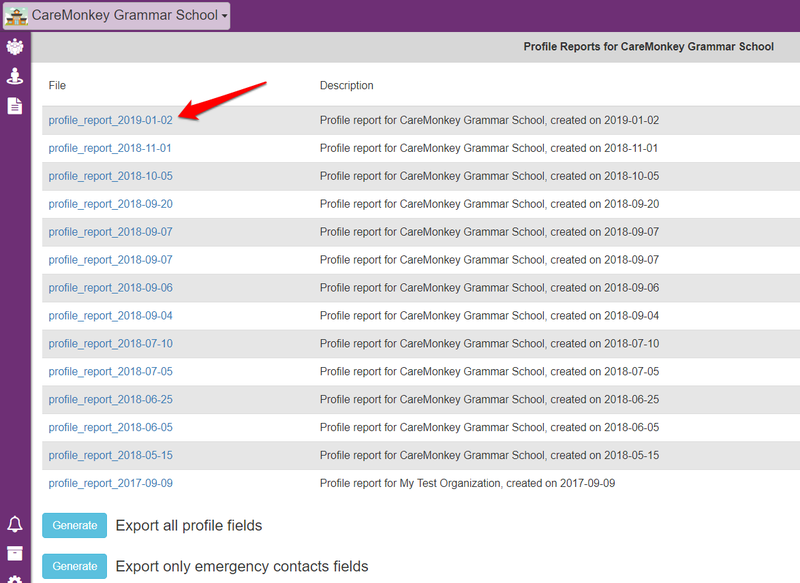 How does an Administrator generate a report of profiles with a medical condition? How does an Administrator view, export, and print the eForm responses?